Wow, the weekend already! 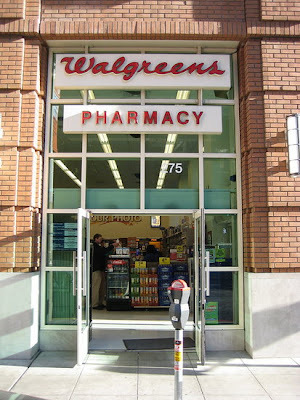 Here are the highlights of the new Walgreens ad starting 2/21. We've got some of monthly deals in this ad and some FREE Excedrin. This is certainly the best week for the Healthy Choice Steamers Register Reward deal since they'll be on sale (and that Sesame Chicken is really good!) but since that RR deal requires you spend $30 to get $10 RR, and I doubt you'll find enough Healthy Choice meals to do that, I gave you other options. You can mix the Healthy Choice with a bunch of other things to reach the $30 for the RR. I've listed a bunch of Qs for that deal and will add more Saturday afternoon. For now, I'm exhausted and have to work early in the morning! Is the dollar amount for the Quaker/Hunts/Healthy Choice promotion before or after the Hunts tomato sauce in-ad coupon? I know the tomato sauce isn't much but I was trying to come up with a deal scenario and was wondering about this. It's always a bit tricky with the ones where you have to reach a certain $ threshold. Like in my store during the Friends & Family you had to be sure to hit the threshold after the 15% was taken off or the RR wouldn't generate. However, with Qs you are usually dealing with before Q amounts. That being said, I have found that sometimes these are a little tricky. You may want to wait for someone else to try it out tomorrow morning to confirm it's working first!